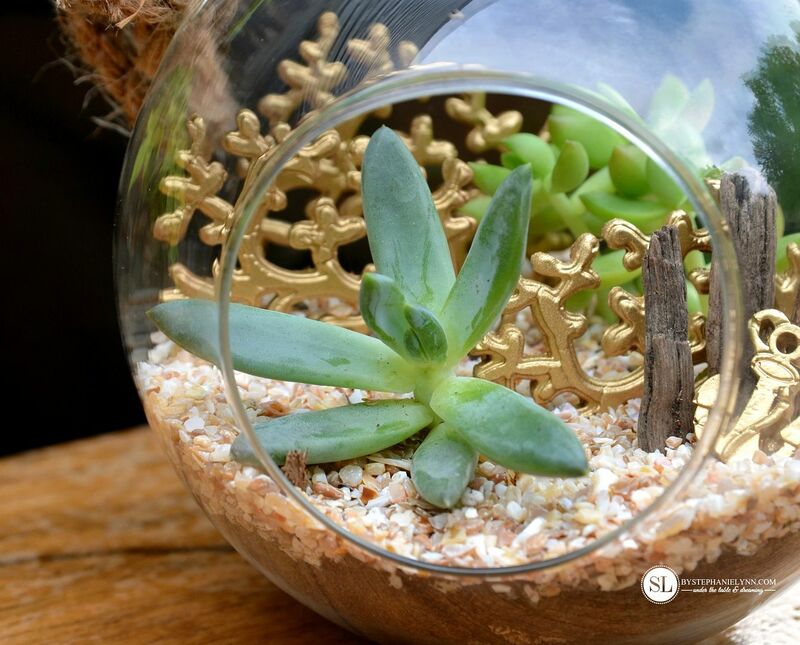 Beach Terrarium – diy succulent garden accessories with Friendly Plastic | We are counting down the days until summer officially arrives and welcoming the warmer weather today with some coastal vibes. Living near the coast nothing screams summer more than sandy toes and salty kisses. 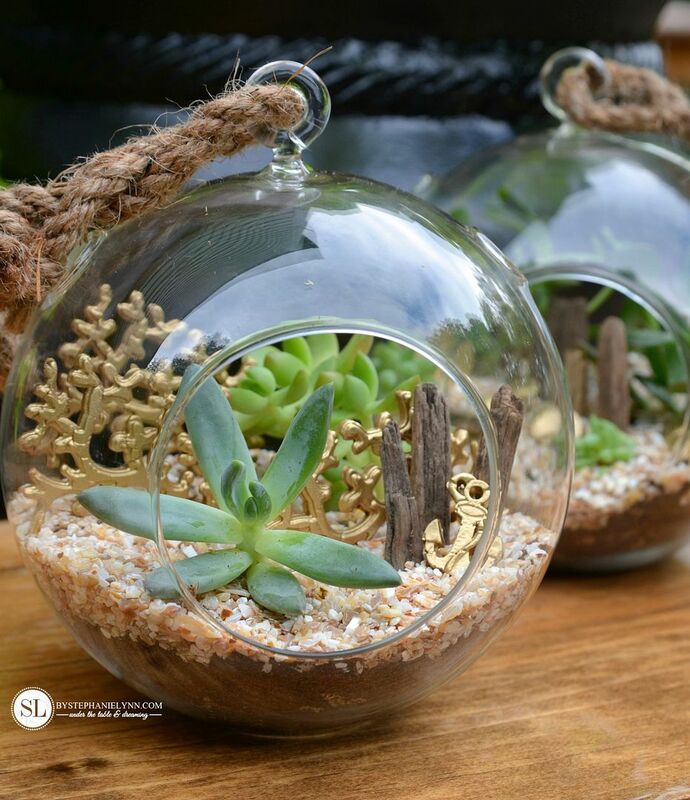 While the ocean may be just a drive away, we are bringing the feel of the season right into our own home with a simple beach terrarium. 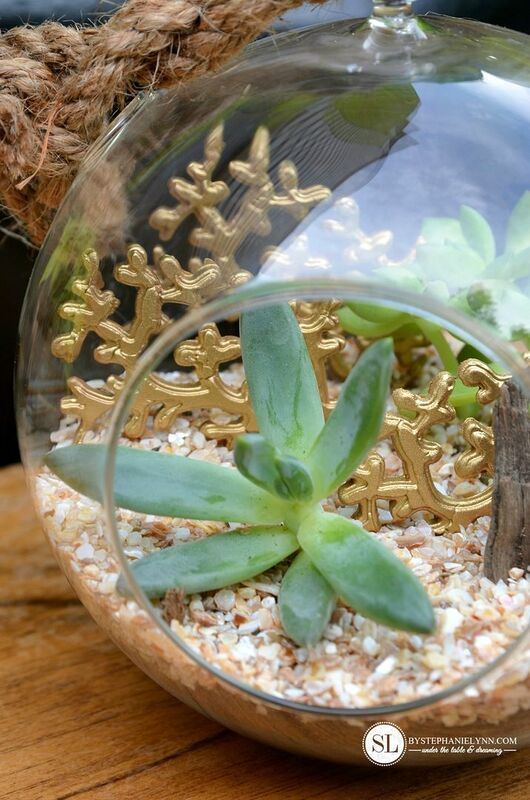 I simply adore mini dish terrariums for many reasons. 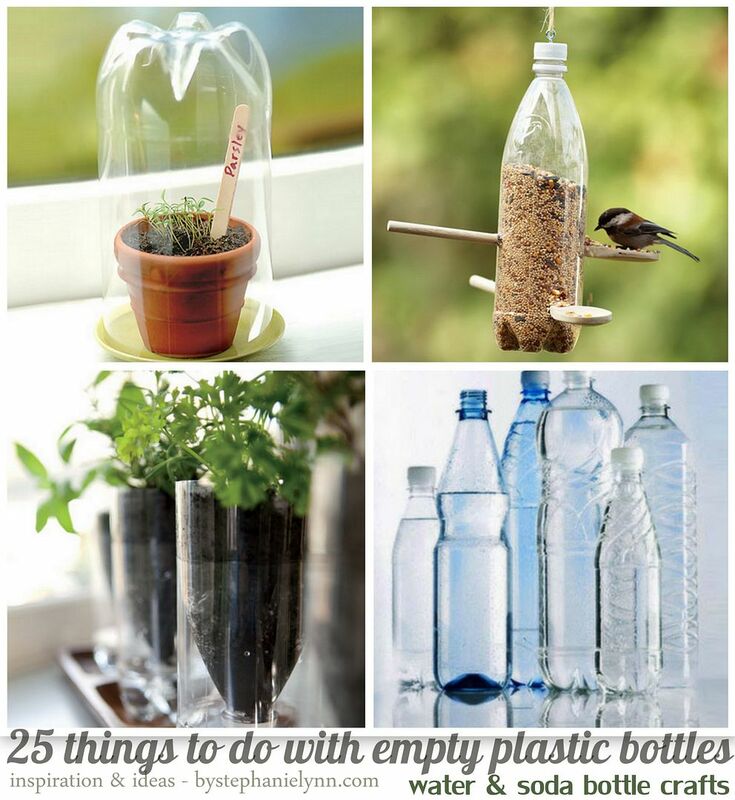 Aside from their natural beauty, they are extremely easy to put together and even easier to care for. 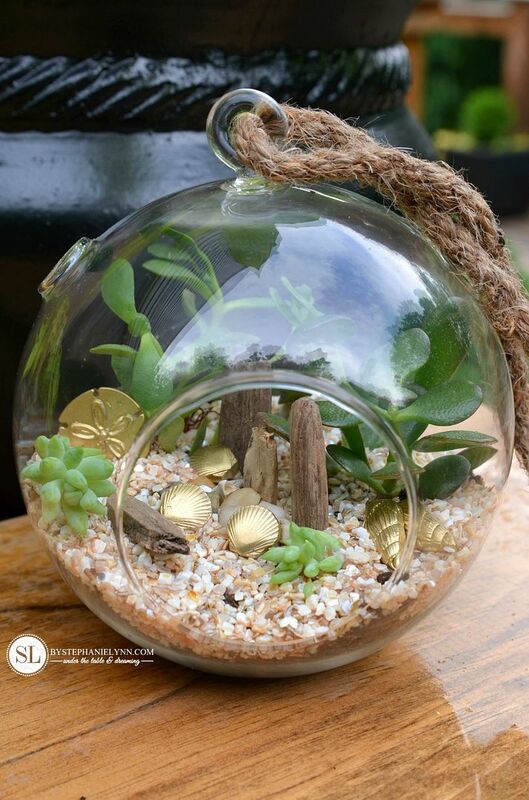 I also love the magical and whimsical feel that can be created within the glass dome with the simple addition of just a few accessories. 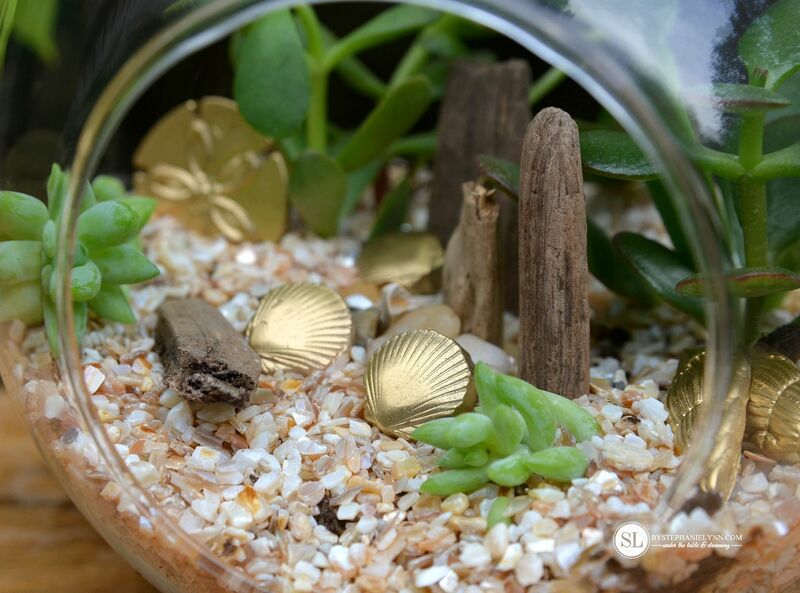 I recently had the chance to try some Friendly Plastic Modeling Pellets from Michaels and thought it would be the perfect medium for making some custom terrarium accessories. 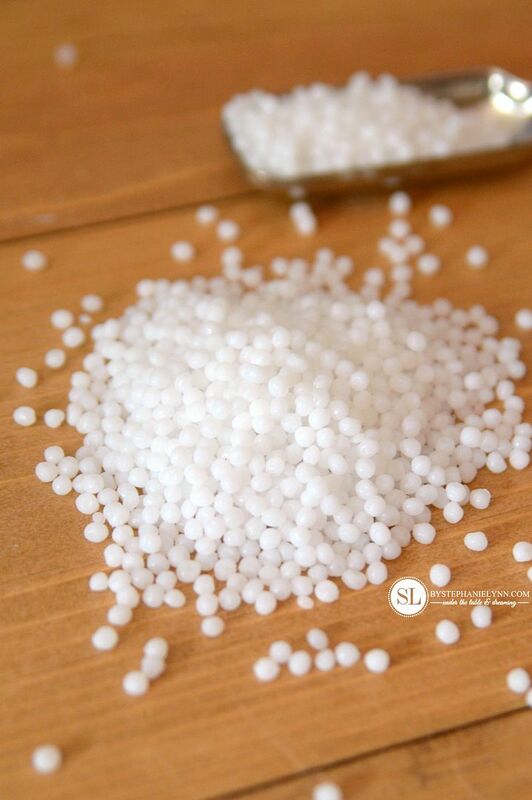 Friendly Plastic is a durable, non-toxic plastic that comes in small pellet form. 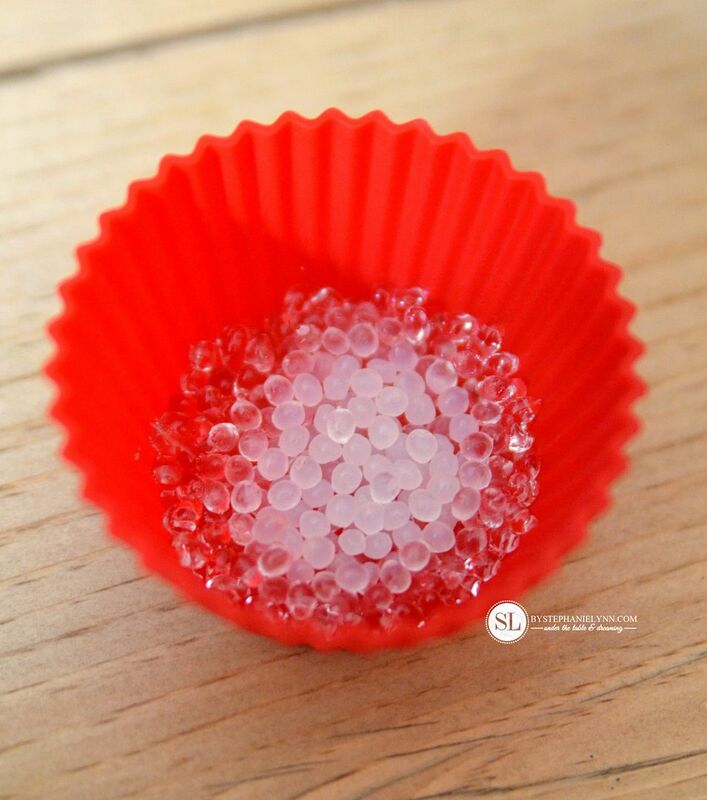 The small pellets are then heated – which softens them – forming a flexible, pliable piece of plastic. The plastic can then be shaped, molded or sculpted. There are a number of ways to heat the Friendly Plastic Pellets; I simply used my oven. 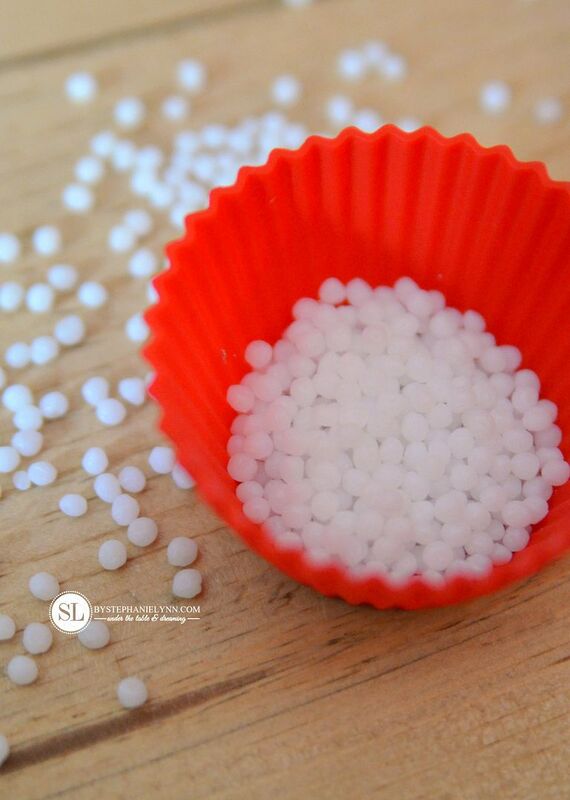 Working with about a tablespoon of pellets at a time, I placed them in a silicone baking cup. The baking cup was then placed in the oven on a baking sheet. After a few minutes the pellets will begin to turn translucent and soften. Once all of the pellets have softened, they are ready to be sculpted. 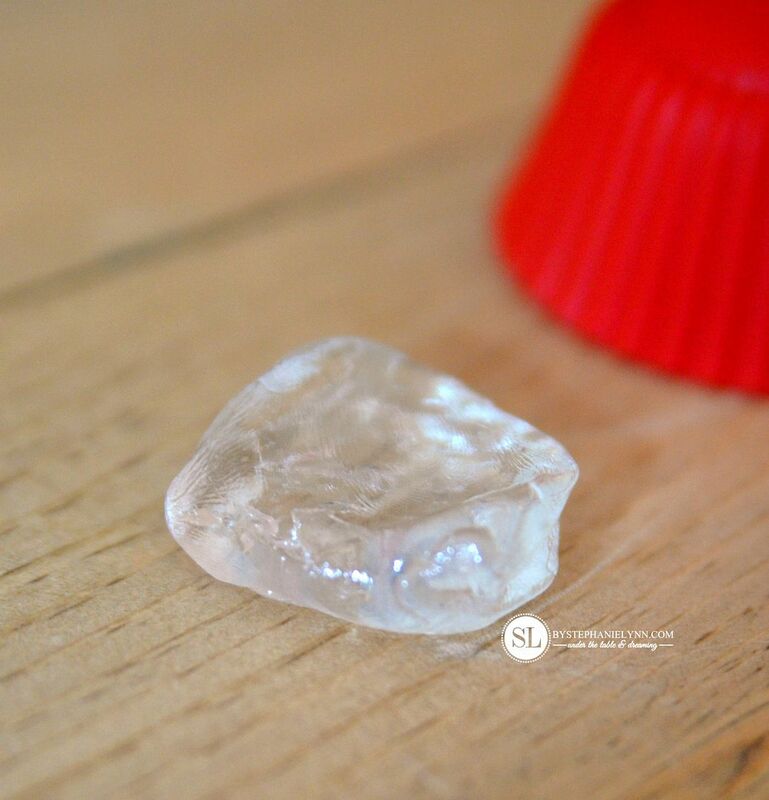 Removing the Friendly Plastic from the silicone baking cup is really easy. 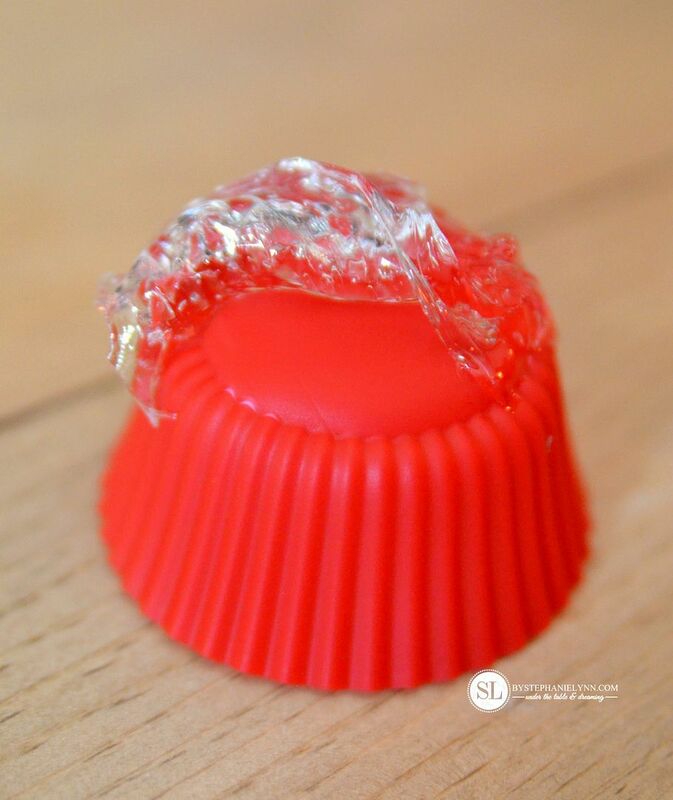 Simply turn the cup inside out and peel away the softened plastic. The plastic will be really warm but not too hot to work with your bare hands. At this point the plastic is ready to be sculpted. 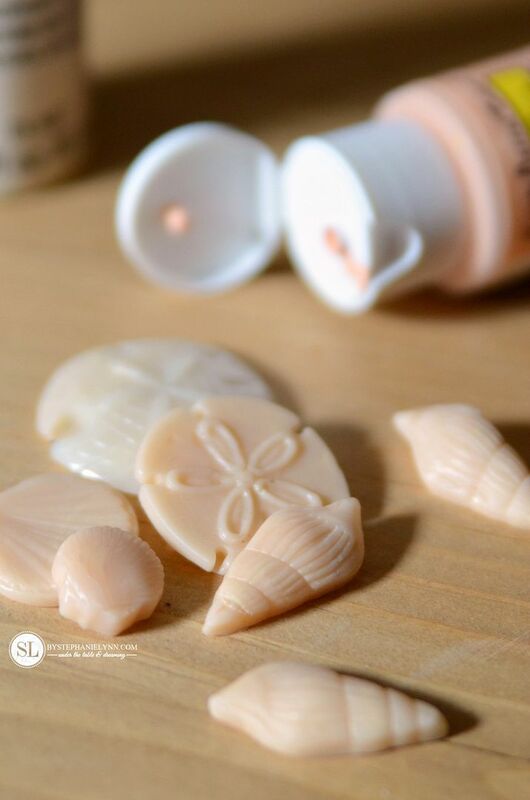 You can use your hands, to free form shapes, or use silicone molds. Since I was making accessories for my beach terrariums I used two different silicone molds to form the plastic. 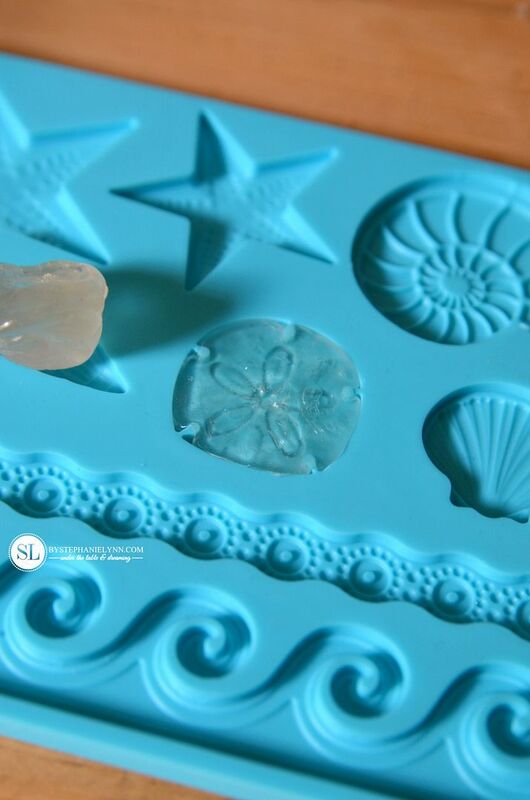 This particular mold is a Wilton silicone mold, actually used for fondant and gum paste. I found it in the baking section at my local Michaels. I also picked up this silicone mold . It is made by Mod Podge and can be found in the decoupage aisle. 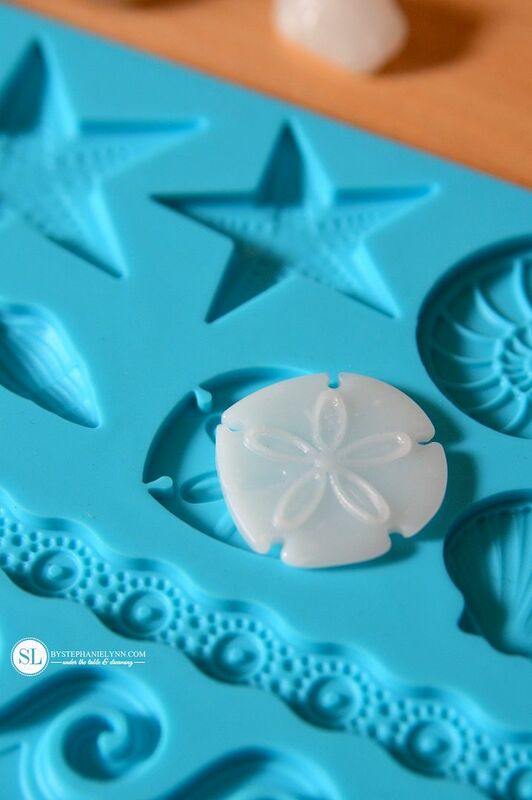 To use the softened plastic with the molds simply tear off a small piece and work it into the mold form using your fingertip. As the plastic hardens it will turn back to the original opaque white color of the pellets. Then, all you need to do is pop it out of the mold. 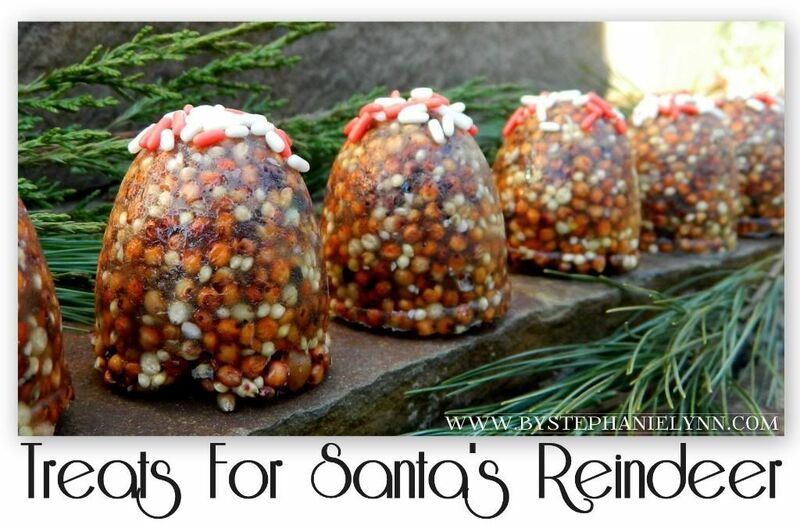 Friendly Plastic is reusable so any scraps you have left over just pop them back into the oven to re-soften. 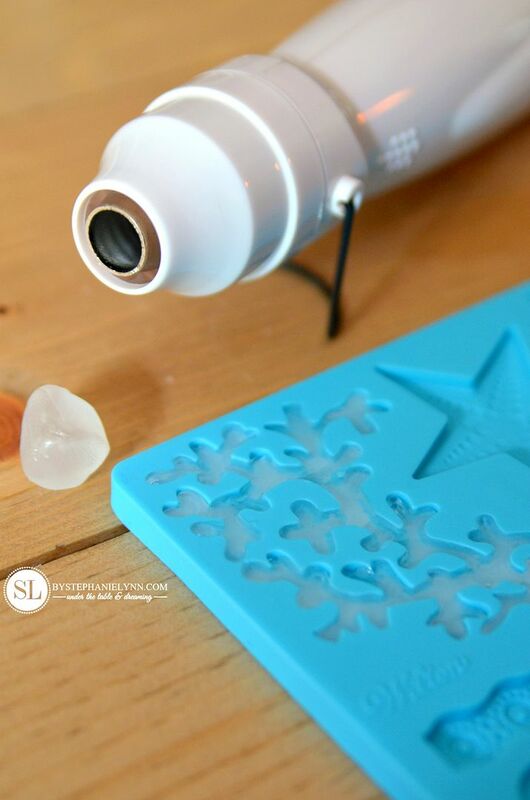 Tip: For intricate mold designs use a handheld multi-purpose heating tool. The heat from the tool helps soften the plastic and fill all of the small crevices of the mold. The heating tool can also be used to initially melt the plastic pellets – I just personally found the oven to be a much easier process. There are several different options for coloring the plastic. 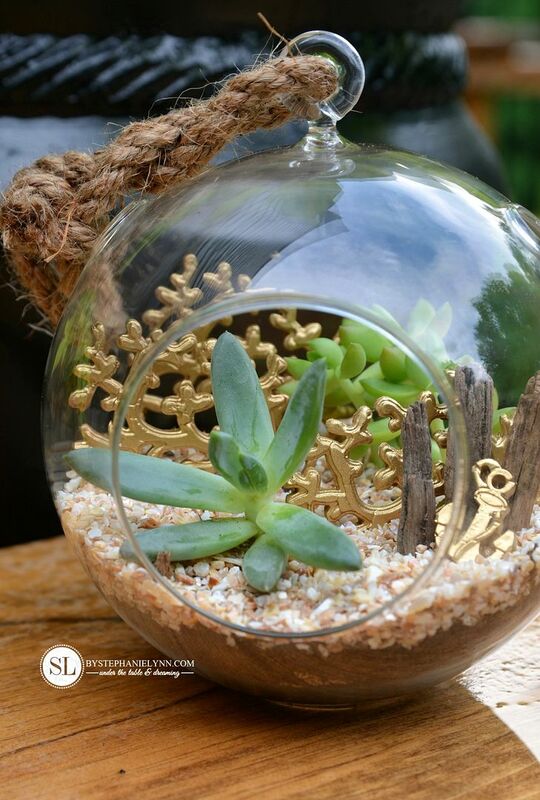 You can use alcohol inks, embossing powder, glitter and paints, just to name a few. The photo above shows the result of adding a tiny bit of acrylic paint to the softened Friendly Plastic prior to molding. Once the pellets were softened I just added a few drops of acrylic paint and worked the color into the plastic with my fingertips. You can also color the pieces once they have hardened. I simply used spray paint to add color to the pieces shown above. – similar in size to these online . – like succulents and cacti. 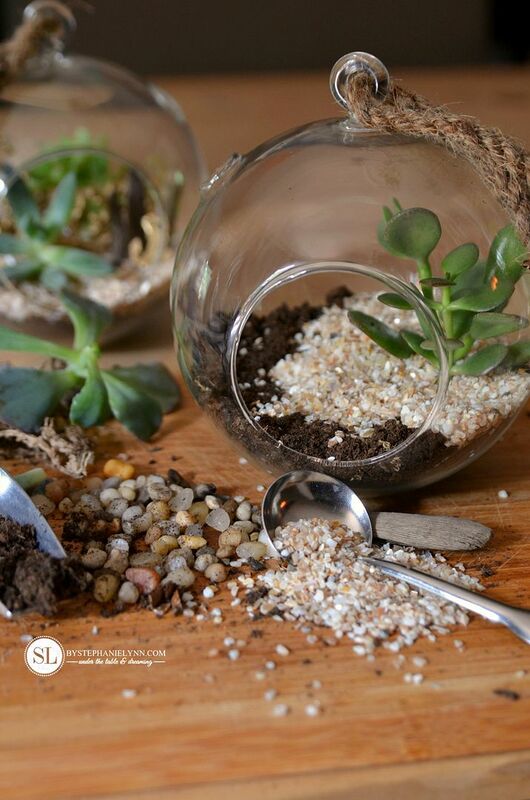 I have made several terrariums in the past and they are so easy to maintain – requiring very little care. 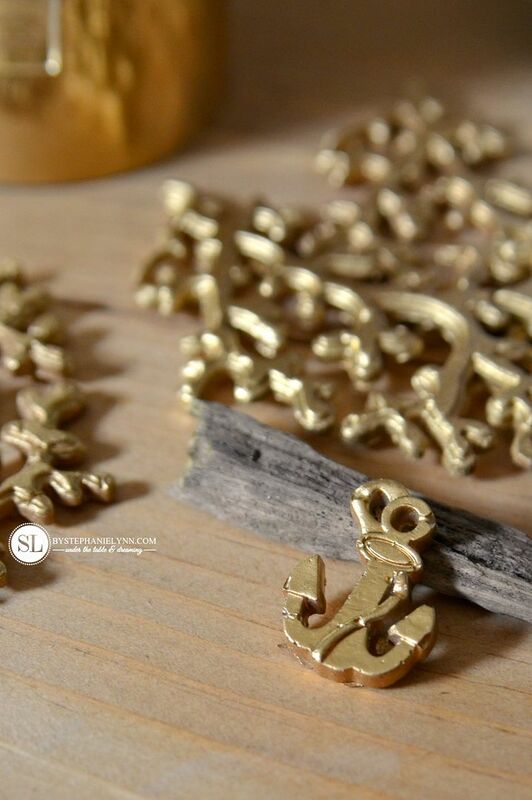 with my favorite gold spray paint . 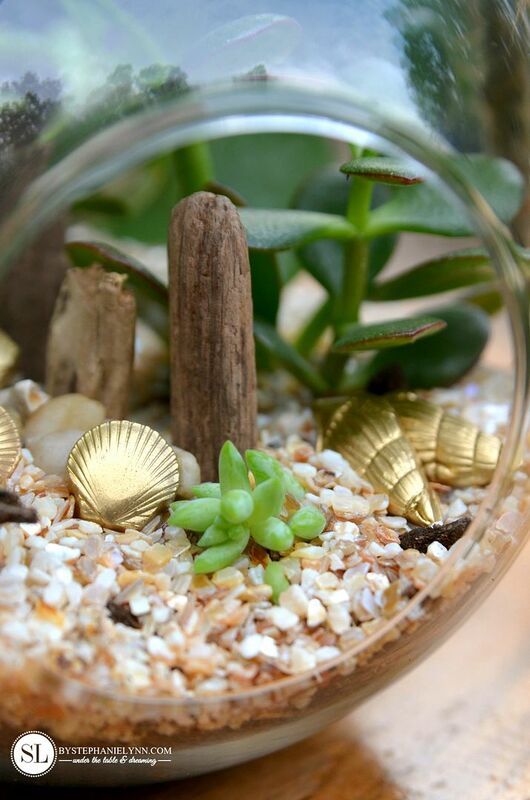 A top layer of crushed shells was added on top of the soil to keep with the beach theme. A few small pieces of dried driftwood were also tucked into the orbs for decoration. 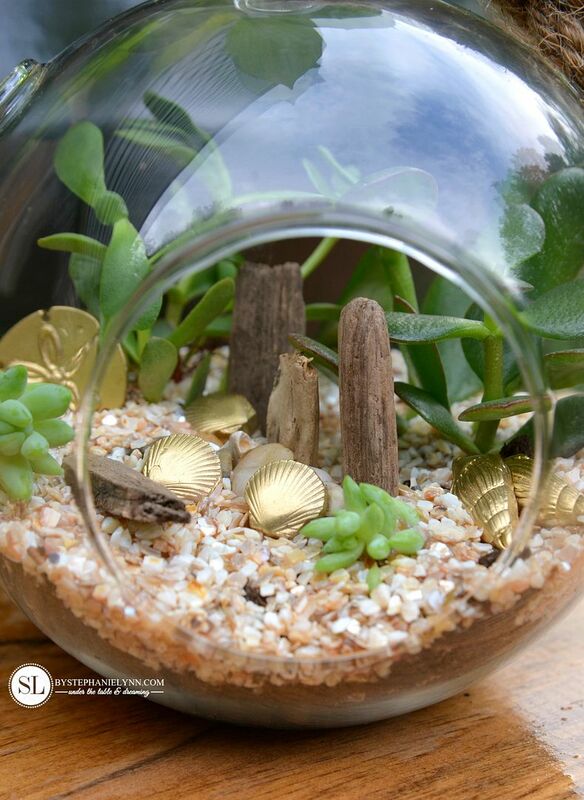 Several shells and a sand dollar were displayed in the second terrarium. Again, all of these accessories were made with the Friendly Plastic Pellets and sprayed with my favorite gold spray paint. 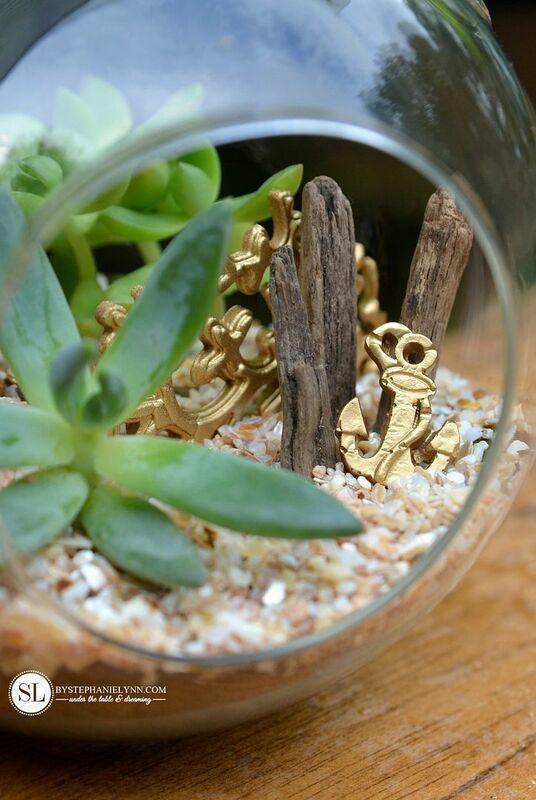 Crushed shells and mini driftwood were also added to finish off the ‘beachy decor’. Let the summer festivities begin! This post is brought to you by Michaels . The opinions read here are entirely my own. 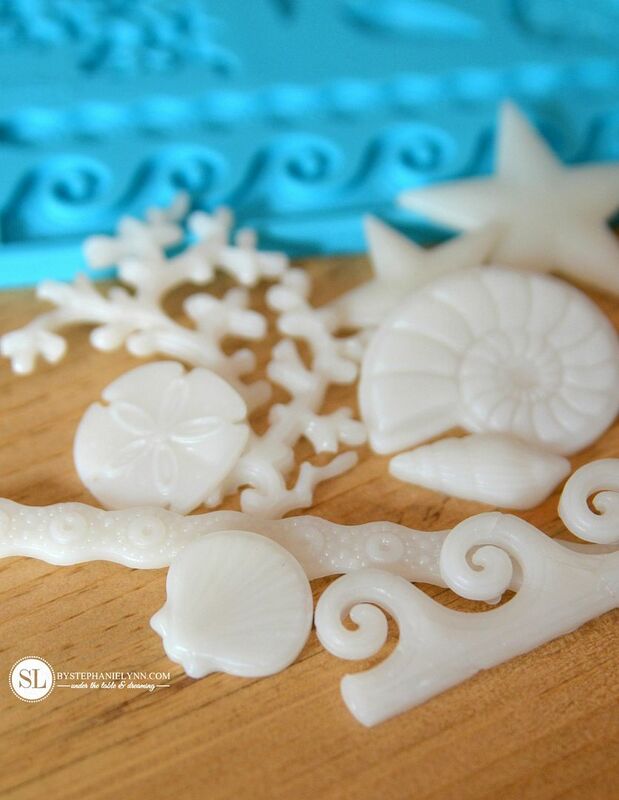 Friendly Plastic is a fun product perfect for making art projects, jewelry and more – it makes molding a variety of shapes and plastic creations super easy! All you have to do is heat the product to turn it into a soft, easy to use material that can be colored and even reused again and again! 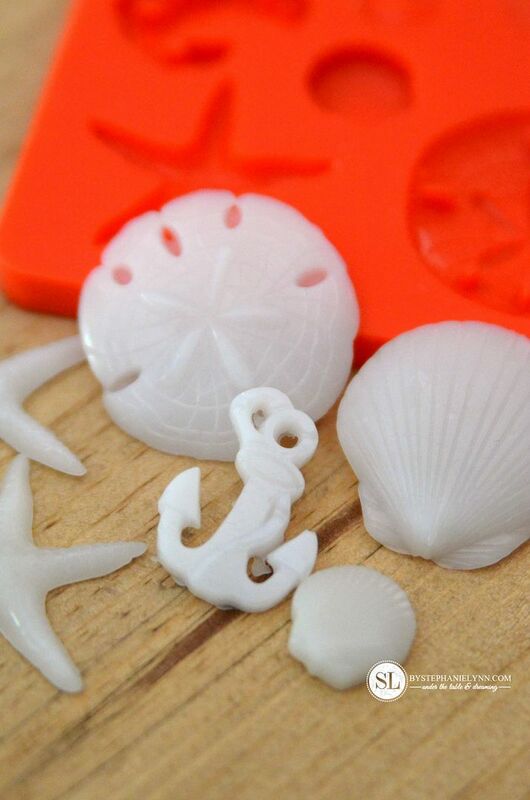 Friendly Plastic is available online at Michaels.com – what would you make?